GPCI Multifamily and Land Development is a paid advertiser of Sonoran Living. If you want to learn more about investing in small to mid-sized Arizona apartment complexes, Terry Kass is the Scottsdale-based real estate specialist you'll want to call. Throughout Terry's 25-year career in the multifamily sector, he has focused on advisory and brokerage of small to mid-sized apartments in the greater Phoenix market. During his tenure, Terry has closed more than 500 multifamily transactions. He holds the prestigious designations of the CCIM (Certified Commercial Investment Manager) and CPM (Certified Property Manager) and is a renowned real estate educator, speaker, and published author. Terry is also a partner and designated broker with GPCI Multifamily and Land Development in Scottsdale. The other team members at GPCI are also multifamily and land development experts, specializing in smaller to mid-size projects. They bring over 50 years of experience in brokerage, property management, consulting, and ownership - all in multifamily and land development. 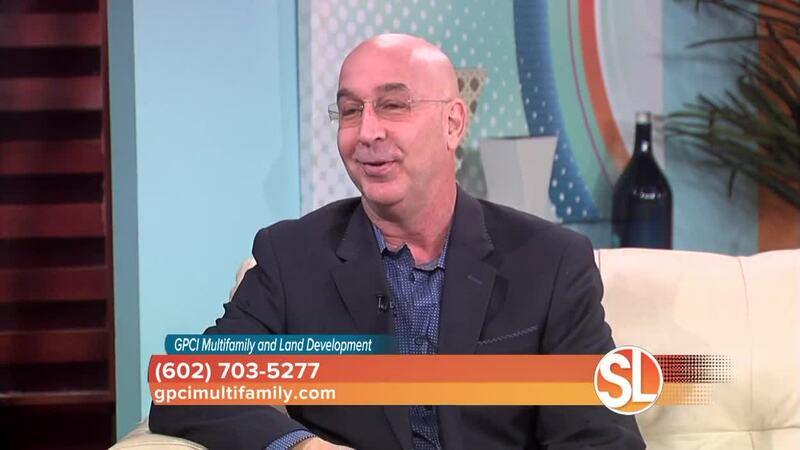 At GPCI Multifamily and Land Development, they pride themselves in offering a more intimate working relationship with clients whose interests come first. They cooperate with outside brokers to ensure optimum exposure to maximize the client's returns and will not recommend a deal that's bad for the client just to book a commission. The principals at GPCI are long- time Valley residents, apartment owners, and small developers. GPCI understands the acquisition/disposition process and will work with clients to leverage financing, property location, management, renovations, turnover, occupancy, and expense control, all of which affect the bottom line. GPCI knows the local Arizona market and looks forward to helping clients identify viable investments. 1. FINANCING: 4 units or less can qualify for residential financing through a local lender. This is important for beginners because rates tend to be more attractive and the loan underwriting process depends more on the financial wherewithal of the borrower, less on the rental profile of the building. 2. PROPERTY MANAGEMENT: Smaller buildings are easier to manage, often owners will manage the property themselves, saving on the expense of a property manager. 3. RESALE: Because it is a smaller asset (i.e. more affordable) there is usually a robust market for resales. 4. DIVERSIFICATION: Apartment buildings often offer an investor a way to diversify their balance sheet or net worth and add real estate to their stocks, bonds and cash. It also can provide passive income to hedge against future "unemployment" whether that includes a career switch or retirement. To speak with Terry Kass, call (602) 703-5277. For more information about GPCI Multifamily and Land Development, visit www.gpcimultifamily.com .